Hanging Drywall in Minnesota? Let Century Drywall give you a quick quote on your next drywall hanging project. Commercial or Residential we have the experience and the know how to deliver consistent, quality drywall hanging results. So call us today or request a quote online by clicking here. We work all around the metro area, this spring we will be completing a ton of great jobs in Eden Prairie, Mound, Minnetonka, and Edina. So check back soon at our gallery of completed jobs and get inspired today! Century puts over 17 years of combined experience to work on your projects, big or small, residential or commercial, from standard sheetrock installation to fancy faux finishes. Our Minneapolis drywall experts bring a full bank of ideas to every project, giving you a wide variety of options for wall and ceiling finishes in your home or business. Check out our individual service pages to see some of the work we’ve done all across the Twin Cities. Looking for Sheetrock Installation in Minnesota? Let Century Drywall give you a quick quote on your next sheetrock project. Both Commercial and Residential options are available. So call us today or request a quote online by clicking here. How do I tape sheetrock? Let’s be frank here, if you are asking yourself this question, you may be surprised just how much work it takes to do this right at home. Let Century Drywall give you a quick quote on your next sheetrock taping project, or the whole drywall / painting project. Commercial or Residential we have the experience and the know how to deliver consistent, quality drywall hanging results. So call us today or request a quote online by clicking here. We work all around the metro area, this spring we will be completing a ton of great jobs in Eden Prairie, Mound, Minnetonka, and Edina. So check back soon at our gallery of completed jobs and get inspired today! Hire a pro to sand that drywall project. Let Century Drywall give you a quick quote on your next drywall project, or give us a call if you have questions about drywall sanding. Commercial or Residential we have the experience and the know how to deliver consistent, quality drywall hanging results. So call us today or request a quote online by clicking here. We work all around the metro area, this spring we will be completing a ton of great jobs in Eden Prairie, Mound, Minnetonka, and Edina. So check back soon at our gallery of completed jobs and get inspired today! Do you have a hole in the wall? Maybe while moving in your buddy let the couch leg get too close to the wall. Sheetrock Repair + Patching are common services that we do daily. Let Century Drywall give you a quick quote on your next wall repair project, or give us a call if you have questions about drywall sanding. Commercial or Residential we have the experience and the know how to deliver consistent, quality drywall hanging results. So call us today or request a quote online by clicking here. We work all around the metro area, this spring we will be completing a ton of sheetrock repair and patching jobs in Eden Prairie, Plymouth, Chaska, and Lakeville. So check back soon at our gallery of completed jobs and get inspired today! Century Drywall and Painting specializes in custom drywall installation. With our experience, tools, and team we are able to create the space you need. Commercial, home basement, or maybe finishing off the garage. We have you covered! So call us today or request a quote online by clicking here. We work all around the metro area, this spring we have some great examples of our custom drywall work for both commercial and residential past clients in Minnetonka, Eden Prairie, Chanhassen, and Burnsvile Minnesota. So check out our gallery of custom drywall instals and request a quote today! Century puts over 17 years of combined experience to work on your projects, big or small, residential or commercial, from standard sheetrock installation to fancy faux finishes. Our Minneapolis drywall experts bring a full bank of ideas to every project, giving you a wide variety of options for wall and ceiling finishes in your home or business. Check out our individual service pages to see some of the work we’ve done all across Minnesota. Knocking down that popcorn ceiling can seem like a daunting task! We make the process easy, quick and seamless. Or taking out the ceiling in the office to make the space look much bigger? We do it all, at one stop we can take down the popcorn, knock the ceiling out, patch, paint, and deliver the results all with one contractor. Saving you time and money! So call us today or request a quote online by clicking here. We work all around the metro area, this spring we have some great examples of our knockdown ceiling work for both commercial and residential past clients in Minnetonka, Eden Prairie, Chanhassen, and Burnsvile Minnesota. So check out our gallery of custom drywall installs and request a quote today! Century puts over 17 years of combined experience to work on your projects, big or small, residential or commercial, from standard sheetrock installation to fancy faux finishes. Our Minneapolis drywall experts bring a full bank of ideas to every project, giving you a wide variety of options for wall and ceiling finishes in your home or business. Check out our individual service pages to see some of the work we’ve done all across MN. Do you need to update, add, repair or modify textured ceilings or walls? If you live in Minnesota your in luck! We offer textured ceiling, repair, new construction, commercial, and general residential services. With textured ceilings and walls it’s important to remember that hiring a painter is only hiring one part of the job. Yet, when you hire us we can manage the entire project from concept to completion. Drywall, to custom painting! So call us today or request a quote online by clicking here. We work all around the metro area, this spring we have some photos and referrals from our past clients for textured ceilings and wall work we have done for both commercial and residential past clients in Maple Grove, Chaska, Chanhassen, and Savage. So check out our gallery of custom drywall installs and request a quote today! For proper residential and commercial painting service, few companies in the area can offer you the level of professionals you get when you hire us. Our work includes both interior and exterior painting services for properties of all sizes! So call us today or request a quote online by clicking here. We work all around the metro area, this spring we have some great examples of our interior painting work for both commercial offices, churchs, storefront and residential homeowners from past clients in Minnetonka, Eden Prairie, Chanhassen, and Burnsvile Minnesota. So check out our gallery of custom drywall installs and request a quote today! Are you looking for a skilled house painter nearby? Maybe you are just kicking around the idea of repainting the exterior of your home, or updating the trim on your house. As an experienced professional team of commercial and residential house painters; we are ready to exceed your expectations, while keeping you on budget! You can always count on us to get the job done, no matter the size or scope of your exterior painting needs. What kind of exterior painting do you do? We do it all, and not in a way that we just say that. We have done it all, and continue to push the boundries of exterior paiting materials, surfaces, and finishes. From textured, manufacturers, metal, to shake, siding materials. For proper residential and commercial painting service, few companies in the twin cities suburban areas can offer you the level of professionals you get when you hire us. Our work includes both interior and exterior painting services for properties of all sizes! So call us today or request a quote online by clicking here. We work all around the metro area, this spring we have some great examples of our exterior painting work for both commercial buildings and residential homes of past clients in Minnetonka, Eden Prairie, Edina, and Lakeville, Elko, Mound Minnesota. So check out our gallery of past paint jobs we have done and keep checking back! We are adding new examples all the time. Do you need some woodwork done around the house? Cabinets, trim, or custom built ins? We save you time and money by delivering not only the best carpentry services in Minnesota, but as drywall and painting professionals we can do the entire job. No need hiring a drywall team, a paint team from another business and a woodworking professional. We can do the entire woodworking project from start to finish. So call us today or request a quote online by clicking here. We work all around the metro area, this spring we have some great examples of our custom woodwork and home woodwork projects for both commercial and residential past clients in Minnetonka, Eden Prairie, Edina, and Lakeville, Elko, Mound Minnesota. So check out our gallery of past woodworking jobs we have done and keep checking back! We are adding new examples all the time. Do you need some demo done? Knockdown, take away, and general demolition services are available for both residential and commercial properties. So call us today or request a quote online by clicking here. We pride ourselves on being the one-stop-shop of Minnesota primer contracting services. We can help from idea, design, creation, to completion. Are you thinking about remodeling your space? We can help from gathering what the options are, how they can be done, and present you all of the options that are available. Keeping price, budget, and project goals in mind. Working with you helps ensure that we deliver the highest quality end product that meets and exceeds your expectations. If you have any questions just give us a call, we can help! 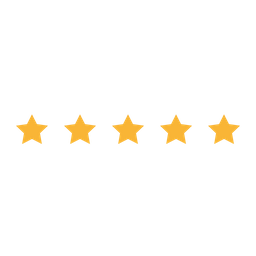 Even if you are looking for a second opinion, our ultimate goal is to ensure that you get the results you want no matter who you go with on the project! Our team of expert drywall, sheetrock, and painting professionals is one of the leading consumer and commercial painting service providers in the Minneapolis and St. Paul (Twin Cities) area. We specialize in high-quality work at an affordable price, and we strive to be a one-stop-shop for all of your painting and drywall needs. One of our primary focuses is exterior residential painting. The drywall and painting professionals at Century can handle your new construction, remodeling, demolition, water or smoke damage repair, interior or exterior painting, and woodwork finishing. Every service includes complete clean-up, and a promise of satisfaction. We’ll be courteous, quick, and clean and protect your home as if it’s our own – and get out of your way in the quickest time frame possible. The experienced and professional workers at Century Drywall and Painting take pride in their jobs while they work hard to ensure your satisfaction. Their number one goal is to make you a happy customer with projects completed on-time, within budget, and to specifications. Contact Century Drywall and Painting to learn more, or for a free estimate. You’ll be happy you did. Century Drywall & Painting specializes in exterior painting jobs. Take a look through our Exterior Painting Gallery to see the work we’ve done for clients like Embassy Suites! Do you own a small, medium or large business in the construction industry? If you’re looking for a dedicated partner that produces quality painting and drywall at a reasonable price, team up with Century Drywall and hire us as your exclusive MN painting and drywall contractor. We are located in Brooklyn Park, just north of Minneapolis, but we serve the entire Twin Cities Metropolitan area (Minneapolis/Saint Paul and surrounding suburbs) in Minnesota and Western Wisconsin – including the area in and around Hudson, Stillwater, New Richmond and Prescott. Our goal is to be the premier drywall and painting contractor in Minneapolis, St. Paul and the surrounding suburbs in Minnesota. While this is a lofty goal, we believe this is attainable by having the utmost concern for craftsmanship, quality, and respect for our customers. How do we achieve this commitment from our employees? The Century Drywall team is highly skilled in all areas of sheetrock installation, drywall finish work, painting, custom drywall design and fabrication, and execution on projects large and small. We specialize in drywall installation and finishing, providing one-stop drywall and painting services and even extending to custom texturing, wall patching, remodels and new construction. We also perform knock down, sand texture, splatter, repair vaults, loose tape, fire taping, hanging, and repair coves, whether your need is the bathroom, living room, kitchen, laundry room or basement. At Century Drywall and Painting, we do it all! We are thankful for such great clients! Our new location was built from a shell into 4 offices, a customer service area, break room, and a conference room. On a local level, Century impressed me with their team work, along with their hands on approach. They showed genuine interest for our concerns, big or small. Another important trait for a project to be successful is follow-up. It is has been 6 months since moving in to our new facility, and Century continues to check in to see how things are going with the build-out. Century Drywall and Painting is our Minneapolis painting company of choice! When we began looking for a MN Painting Contractor, Century Drywall and Painting quickly jumped to the top of our list. After our initial inquiry, a sales team member contacted us by phone and set up an appointment to see our site. The professional contractor that came over gave us an estimate on the spot, and immediately provided us with a list of references to local businesses in Minneapolis that we could contact to see some of their other drywall and painting jobs. Century’s estimate came in within budget, the project was finished on time, and the team did an amazing job painting and drywalling our office. We have chosen Century Drywall and Painting as our number one painting contractor in MN. My wife and I decided to hire a contractor to finish the drywall and painting of our Minneapolis home. Century Drywall did an excellent job finishing up our home, and they didn’t leave a scrap of tape or a speck of sheetrock dust behind! We have the best drywall in all of Minneapolis! Very knowledgeable and direct about earning our business. Josh's team was very personable and well mannered - Great group of guys and they finished ahead of schedule and even came back to do a couple touch ups a couple weeks later. Highly Recommended! Josh and his entire crew did a great job at our house. They were referred to my wife and by a neighbor. Our new house had a few drywall holes they patched, painted the entire interior of our home and later in the summer we hired them again to paint the outside. I don't usually post reviews but I was grabbing their info to refer my co-worker and thought it's worth the time to do!